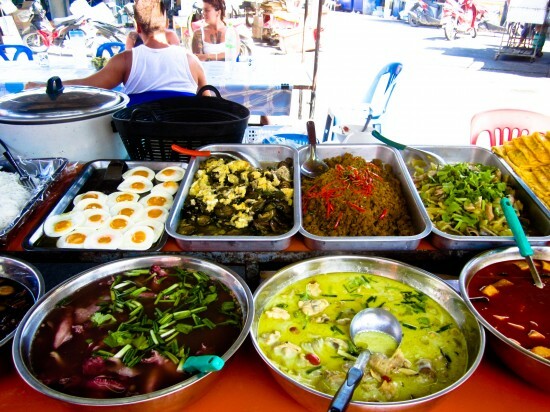 It always staggers me the sheer variety of food on offer in Thailand. 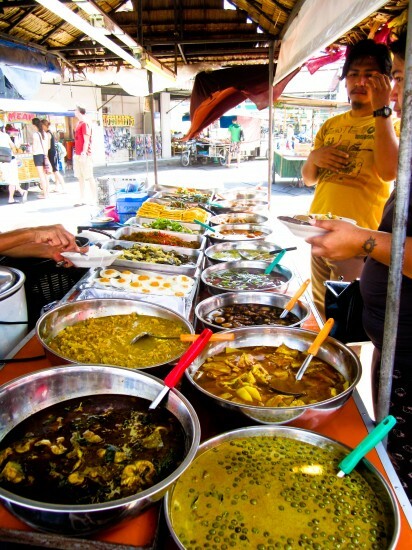 The importance of food in the culture can not be overstated and it adds a lovely color to this vibrant country. I came by this stall today and was delighted to see so many dishes, artfully displayed and lovingly made from just one stall! This style of food is called “Kao Geng” or Curry Food. You choose what you want. The more spoonfuls you take, the more you pay, or add an egg, or anything else on offer. Have a try at our Tom Ka Gai recipe for yourself.